Join our very own Corinne Goodman on an escorted journey to the 2019 Presidents Cup! Born and raised in Australia, Corinne is the owner and founder of Down Under Endeavours. She has been handcrafting luxury Australia vacations for more than 20 years and has a special interest in golf, having visited and played some of the top courses in Australia and the world—including The Royal Melbourne Golf Club, home of the 2019 Presidents Cup. Through the 20-plus-year history of the Presidents Cup, names like Norman, Nicklaus, Woods, Palmer, Couples, Price, and Thomson have represented team and country for the honor of raising the Presidents Cup trophy. Be there in December 2019, when the Presidents Cup returns to Melbourne, Victoria, Australia, at The Royal Melbourne Golf Club. Fans can expect unmatched access as South Africa’s Ernie Els will captain the International Team against Tiger Woods and the United States Team, whether it’s a high-five, an autograph or just seeing 24 of the world’s best compete. Outside the ropes, fans will experience a week-long festival with hospitality and international culinary options to match all levels of spectating and socializing. This world-class competition has not only brought together the game’s best, but has also as established itself as an event that stands for international goodwill and a positive, charitable impact across the globe. 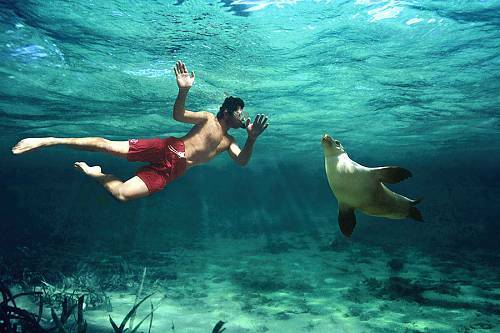 Want to see more down under? Enjoy handcrafted pre-touring in sunny Sydney, complete with a private charter cruise, and post-touring in Tasmania, a secluded haven for golfers and lovers of wine and wildlife. 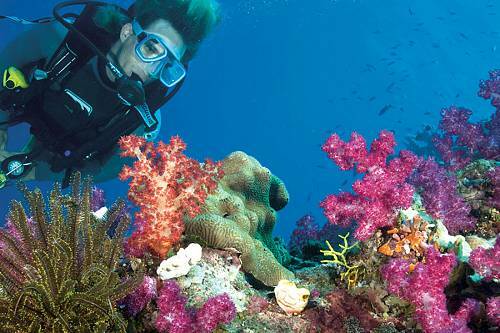 Down Under Endeavours is an independent contractor to, and is not an agent or associate of Event Travel Office. 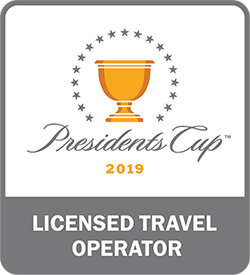 Ticket Terms and Conditions apply to all tickets and attendance at the 2019 Presidents Cup. These Conditions are available from Down Under Endeavours on request or at pgatour.com. Welcome to Australia! 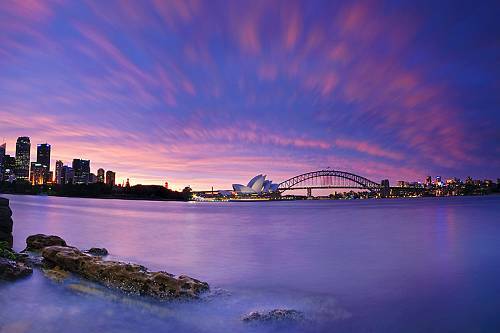 If you choose to join the optional pre-touring in Sydney, you will be in for a treat. Enjoy a transfer to your hotel, The Grace, which offers a luxurious sanctuary in a quiet street close to the city’s main attractions. This evening, enjoy a fabulous welcome function as you and your fellow travelers board a private charter vessel and sail through the glittering waters of Sydney Harbour. Soak up unbeatable views of the Sydney Opera House and other icons, and indulge in delicious canapés and bevies onboard. The next 2 days are yours to spend at your leisure in Sydney. Golfers won’t want to miss the chance to play the prestigious New South Wales Golf Club, designed by the legendary Dr Alister MacKenzie. Of course, Sydney has much to offer the non-golfer, as well! Some of our favorite touring options include surfing lessons on Bondi Beach, a Sydney Harbour BridgeClimb, or a guided tour of the city by bicycle. Welcome to Melbourne, the cultural, culinary, and golfing capital of Australia! On arrival, enjoy a transfer from the airport to your centrally located hotel. Indulge in some welcome drinks as you meet your fellow travelers and your hosts, Corinne Goodman and Douglas Herbert of Down Under Endeavours. Corinne and Doug are passionate golfers who have played some of the top courses in Australia and the world, including The Royal Melbourne Golf Club, home of the 2019 Presidents Cup! Rise early this morning and enjoy a full breakfast before heading off to your first day attending the 2019 Presidents Cup. Fans can expect unmatched access as South Africa’s Ernie Els will captain the International Team against Tiger Woods and the United States Team. Today, watch the greats of golf go head to head in the third round of competition (foursomes) and fourth round (four-ball). Enjoy a return transfer back to your hotel this evening, followed by an exclusive Presidents Cup spectator function. Today, you will witness the final round of thrilling competition at the 2019 Presidents Cup. Get swept away in the energy of the crowd as the athletes compete in 12 singles matches to determine who will win the honor of raising the Presidents Cup trophy! Enjoy a transfer back to your hotel and an evening at leisure to explore Melbourne’s world-famous restaurant and bar scene. The next 2 days are yours to spend at your leisure in the buzzing city of Melbourne. We have several additional tour options to make the most of your stay: Take a swing at some of Melbourne’s (and Australia’s) top golf courses; discover the city’s hidden gems on a guided lanes and arcades tour; enjoy a wildlife encounter with kangaroos, koalas, and adorable penguins; or visit renowned wineries in the nearby Yarra Valley. The possibilities are endless! On your final evening in Melbourne, enjoy a farewell happy hour and say goodbye to your newfound friends. This morning, you will be transferred from your hotel to the Melbourne airport. If you choose to extend your trip, you will fly to the ruggedly beautiful island of Tasmania (flight additional cost) to play world-renowned golf courses! Optional wine tasting and spa treatments are available for the non-golfers. Enjoy a transfer to the airport, where you will begin your journey back home.